This is a really pretty pink beaded gemstone necklace! The gemstones are graduated strawberry quartz and I have seperated them with little bronze spacer beads and added some jasper beads in the middle of the necklace. 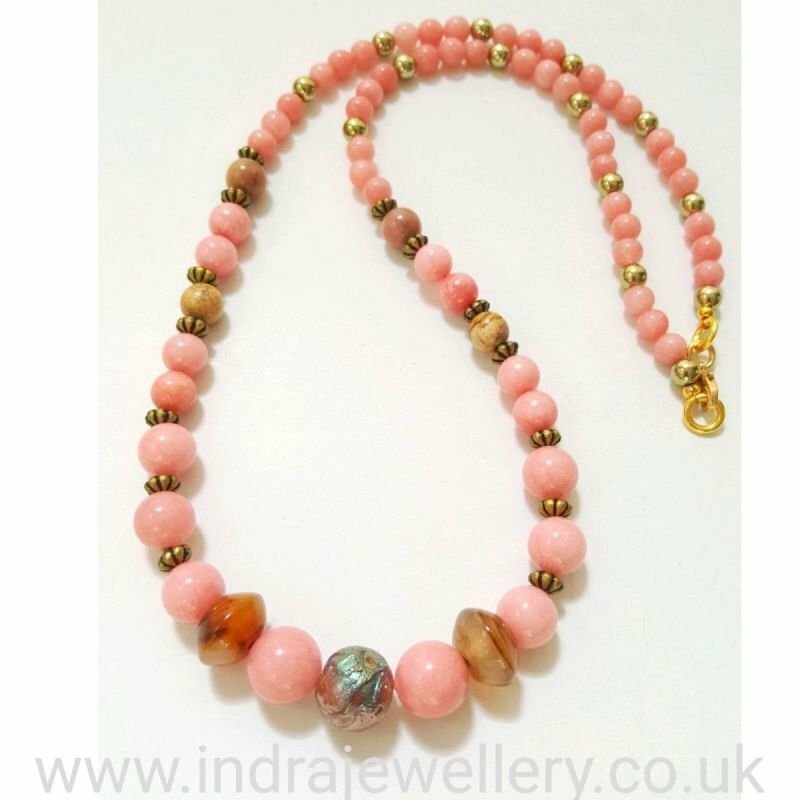 Towards the bottom of the necklace there are some plate shaped gemstone beads and a gorgeous large electroplated jasper bead to act as a focal point of the necklace. The necklace measures 24" in length. Carrying a piece of Strawberry Quartz can be very soothing and calming for you, especially when you work in a fast-paced environment. This crystal has the ability to amplify your intentions of love, appreciation, and generosity. It can also radiate these energies outward and influence your environment and the people around you.